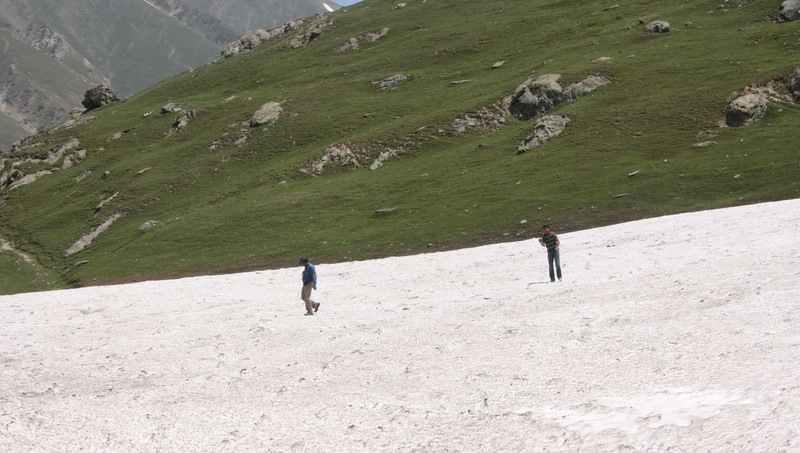 The pleasant ride to Kargil saw varying temperatures; it was hot as we started and cold when we fell upon some snow en route. Barbed wires, a few snow-capped mountains in the distance and grazing animals dotted the landscape. About an hour later, we found ourselves surrounded by a few patches of snow, settled on the otherwise barren stretch of mountains. We took a brief break to capture our first snow sighting on camera; and of course, snow fights inevitably began. 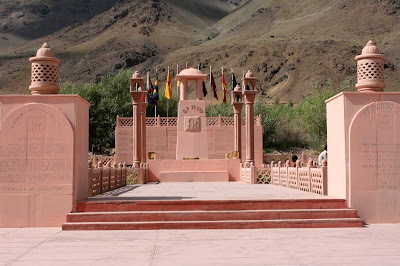 Passing by the Zozila War Memorial (about 9km from Sonamarg) a short while later reiterated the grave historic prominence of Kargil in India’s history. Sometimes we are so blissful under our veil of ignorance, we don’t value the sacrifices that make our existence possible. 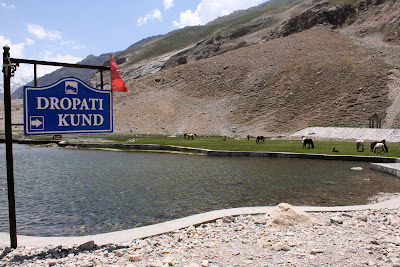 A few hours later, we made another stopover, this time at Dropati Kund (legend has it that this Draupadi, of the Mahabharata, had her last bath here before she died in the Himalayas). Sitting by the waterfront, we enjoyed the crisp mountain air amid light conversation. 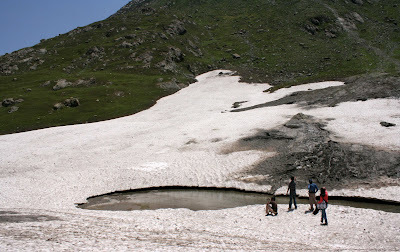 Continuing our journey, we plodded on our rather solitary route with the sole company of military trucks and guzzling river water lending much-needed cool breeze. As lunch time approached, we’d reached Drass. 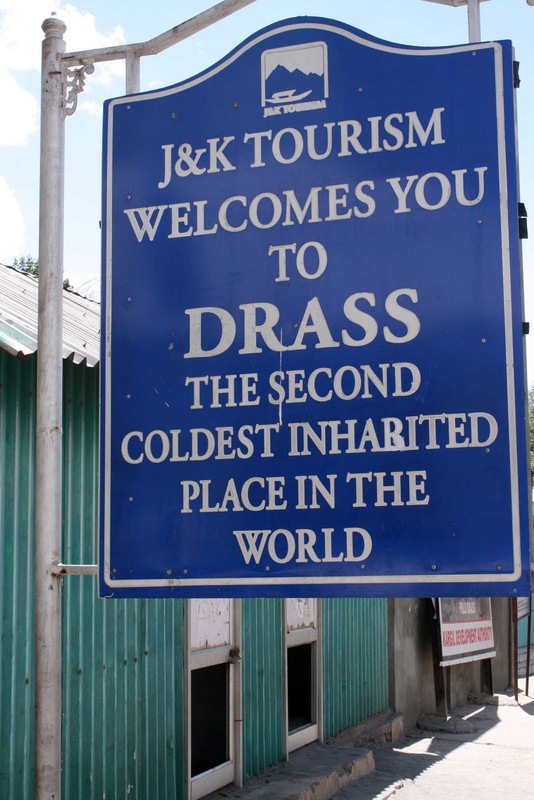 Claiming to be the second coldest inhabited place in the world, we found the immense heat rather ironic. We chose a quaint little joint for our meal that promised us home-like food. We had yummy, finger-licking rajma and chawal together with aloo mattar and roti; it truly was like eating at home. Moving ahead, we stopped to visit the Drass War Memorial, built in memory of all the soldiers that lost their lives during Operation Vijay. We paid our respects and said a little prayer for those young men. We also met a few soldiers by the gate; it was nice to see them in a cheery mood, laughing and happily posing for pictures with us. A few hours later, as we reached Kargil we spotted a catchment area with bunkers and what seemed like training equipment. 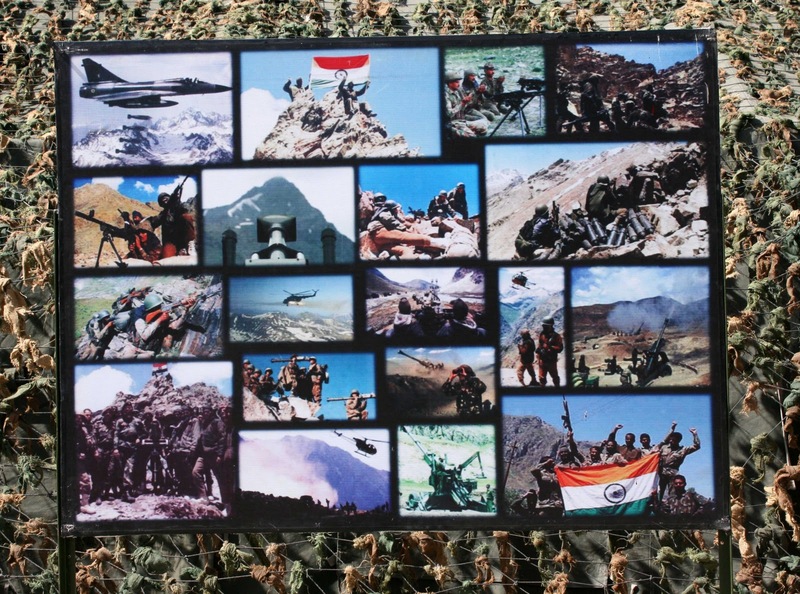 For a place that is so deeply disturbed by the remnants of war, Kargil seemed to don a calm and composed veil for tonight. We were put up at the Caravan Serai Hotel; a nice, simple place with clean, adequately spacious rooms and running hot water. As we began to retire for the night, we met someone who told us some intriguing stories about our location. He’d personally witnessed a bomb shelling a few kilometres ahead of our hotel. He narrated how he had to hide under his car to prevent himself from being hurt by the constant bomb shelling that continued all night. He was only able to come out in the morning—once the shelling had stopped—when a soldier helped him out. 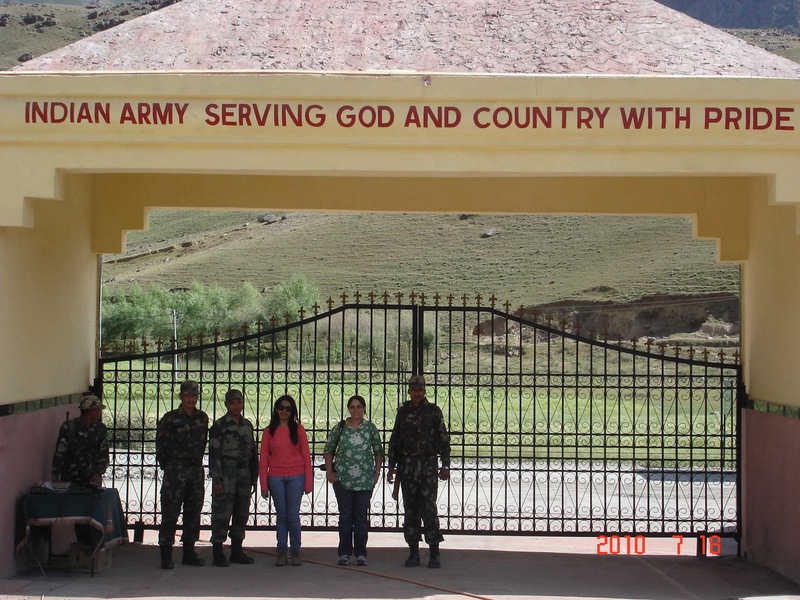 Every time I tell people I’ve visited Kargil, they react with an expression or fear and immediate concern. 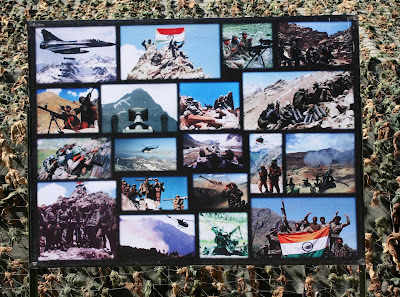 But Kargil is much more than just a war zone; it is a place that houses people with unfathomable courage and undying spirit.